While the state of California empowers collectives and cooperatives to provide affordable access to medical cannabis, there are still criminal laws in California for certain offenses related to the drug. If you are accused of violating any of those laws, Los Angeles marijuana criminal lawyers can represent you and fight to help ensure the most positive outcome within the criminal justice system. Defending yourself from accusations of wrongdoing is important because a conviction for an offense related to marijuana can have serious consequences. This is especially true if you face federal criminal charges, but penalties can still be serious on the state level. The fact that a person could have his life derailed because of a marijuana prosecution shows the need for reforms to the legal system. One recent case in Louisiana demonstrates why it is so important for efforts to move forward to encourage more states to alter the way they treat marijuana, and why it is important to continue educating the public on the benefits of cannabis use and the need for reform. The case involved a man who was sentenced to 18 years imprisonment for the possession of just 18 grams of cannabis. WCBV 5 ABC reported on the 18 year sentence for a marijuana offense, which the Louisiana Supreme Court recently upheld. The sentence was so ridiculously harsh that the chief justice of the Louisiana Supreme Court crafted a “withering dissent” blasting her colleagues for upholding the penalty. The 18-year sentence also mandates the defendant has no possibility for parole, making the sentence even more draconian. Chief Justice Bernette Johnson referred to the sentence as both “ridiculous” and “outrageous,” and she questioned whether it was an “arbitrary decision” or “mere coincidence” for the man to face one year of imprisonment for each of the grams of marijuana in his possession. The marijuana, which is enough for only 18 marijuana cigarettes, was found during a 2013 search. The man was sentenced in 2014 under a law allowing strict penalties for habitual offenders. The man had previously been convicted of possession of a firearm by a convicted felon. He was charged with possession with intent to distribute due to having the 18 grams of marijuana. It will cost the taxpayers around $23,000 annually to imprison this man, as the chief justice pointed out, and paying these costs for 18 years “provides little societal value.” Taxpayers will be forced to cover these costs, while the justice system will be forced to incarcerate this man for almost two decades when the system is already overburdened. Our marijuana criminal defense attorneys are committed to fighting for the rights of those accused of cannabis-related crimes. 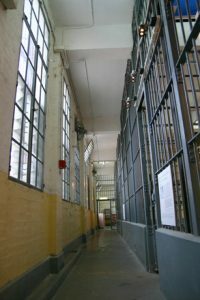 Louisiana has the highest incarceration rates in the nation, and state lawmakers are considering overhauling the laws to try to resolve the mass incarceration problem. This case is a clear illustration of both why this reform is necessary, and of why reforms to marijuana laws should be made throughout the country to prevent harsh penalties for offense related to cannabis.